To print a copy of the N.E.F. Disaster Aid Application, click on the link at right. 1. Download application (shown above). Application must be received within 90 days of disaster. 2. Disaster must be a “declared” natural disaster for Legion family members.Supporting data (photos, repair estimates, etc.) should be included if at all possible or statements (testimony) from post/district/department officers attesting to damages. 3. Only one grant per household. 4. Post grants must derive from a declared natural disaster and substantiating documentation must provide that The American Legion Post will cease to perform the duties and activities in the community due to losses sustained. 5. Members must complete a National Emergency Fund Grant Application. Application is properly completed by applicant then sent to the Department Headquarters for approval. If everything is in order, department will forward to National. Upon approval at the National level, a check will be sent to the Department Headquarters for delivery to the Legion Family Member or Post in distress. 1. 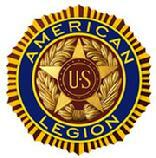 Eligibility open to Legionnaires and Sons of The American Legion members (up to $1,500) Legion Posts (up to $5,000). 2. Applicant must have been displaced from their primary residence due to a declared natural disaster and provide proof of out-of-pocket expenses. 4. Does not cover insurance compensation or monetary losses from a business, structures on your property (barns, tool sheds, etc.,) equipment or vehicles. 5. Membership must be active at time of disaster and the time of application.